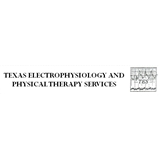 Texas Electrophysiology & Physical Therapy (Houston) - Book Appointment Online! Dr. Sabbahi was very professional, knowledgable and kind. He never pushed me too hard but was more than confident in my abilities to do my exercises properly. His expertise in therapy includes electrophysiology is most certainly a unique specialty but worked extremely well on my joint/muscle and TFCC injury. My sessions typically lasted ~1 hour with Dr. Sabbahi constantly checking in and ensuring that my exercises did not cause major pain. I always left the session feeling very confident in my injury and its future management.